The Celestron 22025 is The National Park Foundation FirstScope’s Newtonian reflector optical system features a spherical glass mirror with a generous 76 mm of aperture. Bright, sharp views of celestial objects can be obtained and the Moon’s mountains and craters can be observed in detail. By using National Park Foundation FirstScope’s wide field of view be able to observe expansive views of the sky, which include open star clusters, or favorite deep-sky objects like the Orion Nebula. This special edition of our bestselling FirstScope weighs just 4.3 pounds, making it the perfect companion for camping trips and all your outdoor adventures. The telescope tube is adorned with a custom National Park Foundation wrap. Being Lightweight and portable, a great grab-and-go telescope and Simple design makes it easy for beginners to use. The Celestron National Park Foundation Firstscope has many exciting features for users of all types. You can extend the lifetime of your Celestron National Park Foundation Firstscope with the purchase of a FactoryOutletStore Factory Protection Plan. 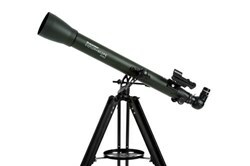 See the Celestron National Park Foundation Firstscope gallery images above for more product views. 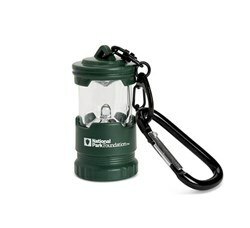 FactoryOutletStore stocks a full line of accessories like Explorascope 60 AZ and Keychain LED Lantern for the Celestron National Park Foundation Firstscope. 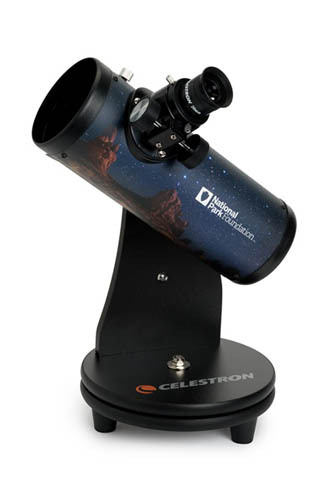 The Celestron National Park Foundation Firstscope is sold as a Brand New Unopened Item. when viewing ground items everything is upside down. How can I see image normal?